Depending on the country you are in, there are a few different date formats you can use. In this lesson, I’ll show you how to convert any date format to dd/mm/yyyy or DMY in short. It’s the most popular format in the world used by more than half of the world population. We are going to use this example. The date is formatted to MDY (mm/dd/yyyy). This is a format used only in the US and a few smaller countries. 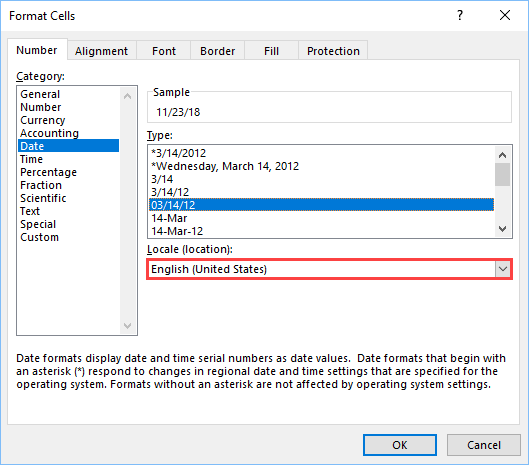 The first way, you can convert date is to use the Format Cells window. 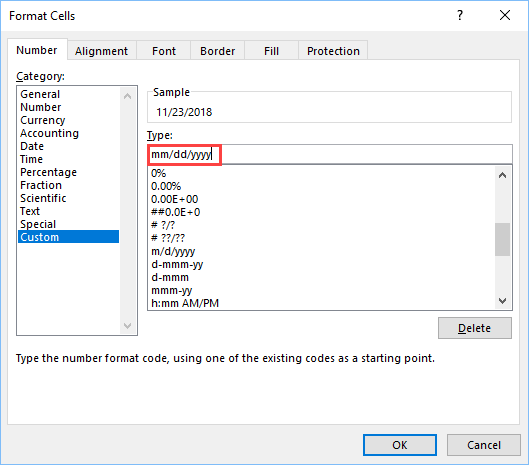 In order to do it, click cell B3, then click the right mouse button and select the Format Cells option. From a new window, click Date and select the country where you from. If you can’t see your format, click the Custom category and type the exact format. You can also use the text function to format your date to dd/mm/yyyy. Let’s modify our example a bit. Inside C3, insert the following formula. 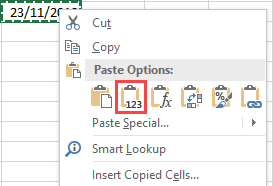 If you want to keep only the date inside C3, copy this cell and paste it as values. Otherwise, it’ll return an error.